While this article provides a great resource for swirly brushes for Photoshop, it won’t do much good unless you know how to install a brush into Photoshop. When you download a brush that is in ABR format, all you have to do is save or move the file into your Adobe Brush folder, which is usually located in C:\Program Files\Adobe\Photoshop CS4\Presets\Brushes. 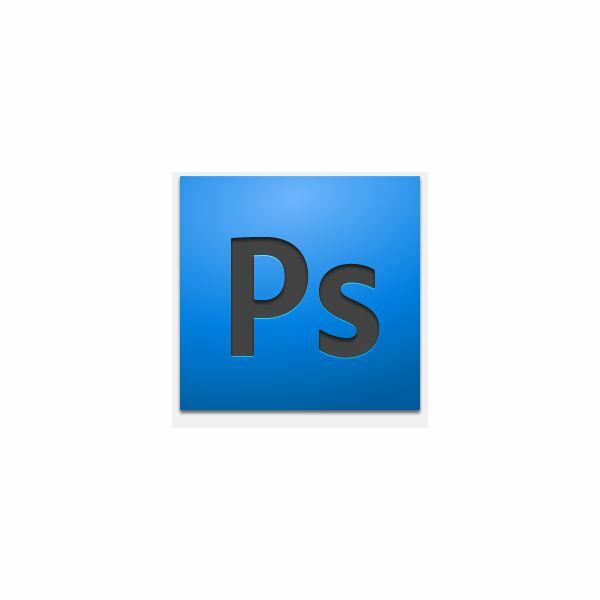 Your version of Photoshop may be different than CS4, so simply look for the version of Photoshop you have, such as 7, CS, CS2, CS3 etc, etc. For Windows 7 users, your file path may look more like this: C:\Program Files (x86)\Adobe\Photoshop CS4\Presets\Brushes. If the brushes are zipped or RARed, you will have to unzip them beforehand using a program like WinZip or WinRAR, and then move the ABR file into the Adobe Photoshop brush folder. Note: If the brushes don’t achieve the effect you’re looking for, you can always create a swirl pattern in Photoshop. 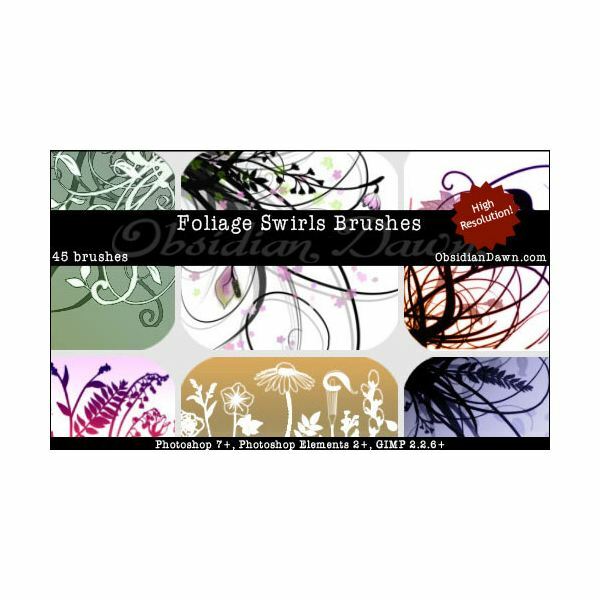 Foliage Swirls by Obsidian Dawn (RedHeadStock on deviantART) is comprised of 45 different swirly foliage brushes, including branches, flowers such as a peace lily, roses, lily of the valley, leaves, foliage, and various swirly stems to use with the brushes. With an average size of 1500 pixels, these brushes will look great with any size document, just scale down for smaller images and projects.They are compatible with Photoshop 7+, Photoshop Elements 2+, and Gimp 2.26+. The artist requests that you provide credit (such as a link back to the brushes or her website), and that you do not sell the brushes, provide them for download, or post them as image packs for download. 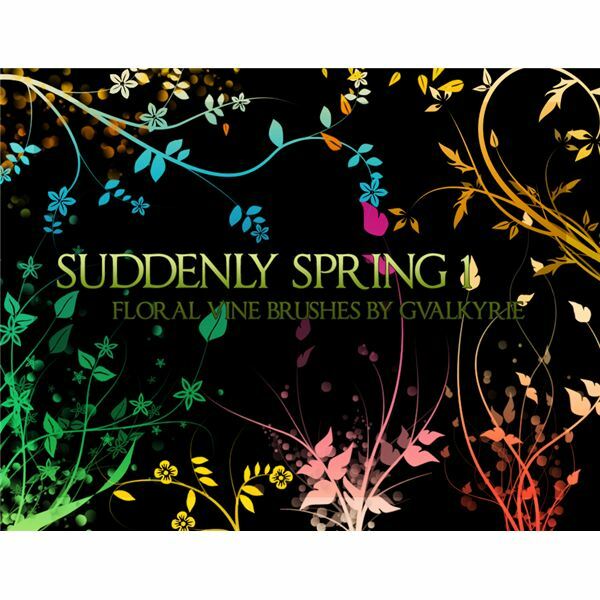 Suddenly Spring by gvalkyrie on deviantART is another great foliage pack that contains a ton of cute foliage-based swirls, including stems, grasses, leaves, vines, and adorable little doodle-like flowers. These are compatible with Photoshop 7+. The artist requests that you do not distribute the brushes as a commercial brush pack, and that you provide a link back to the brush pack on their deviantART profile. 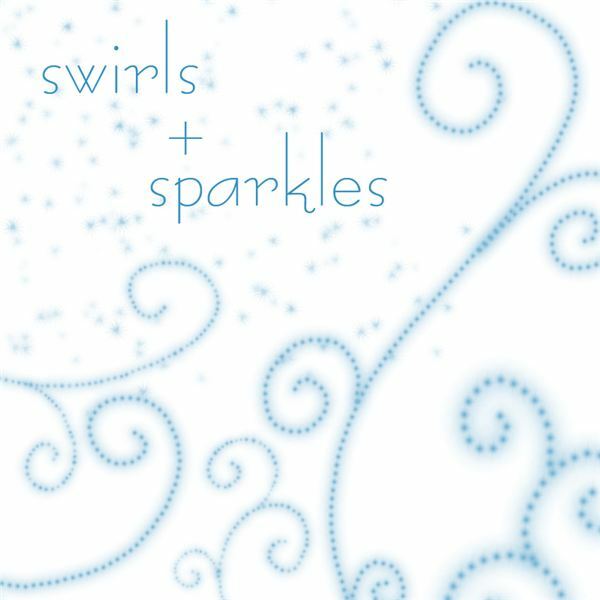 Swirls and Sparkles by sugargrl14 on deviantART boasts a pack of 17 sugary, sweet swirls and sparkles for use in all your projects. A great pack to add a little magic to your projects. The artist requests that you provide a link back to the brush pack or to her deviantART account if you are going to use these and post the results publicly. As always, do not redistribute the packs, commercially or otherwise. 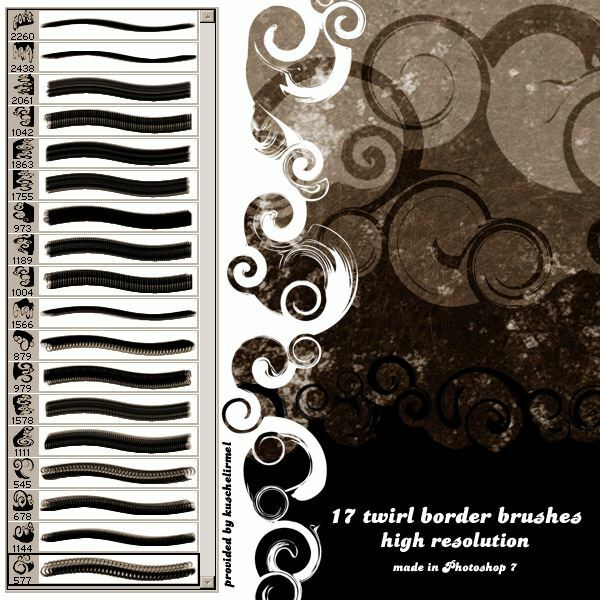 Twirl Border Brushes by kuschelirmel-stock on deviantART is a great pack of twirly, swirly borders to add to images and artwork alike. This is a great set of 17 extremely high-resolution brushes that are compatible with Photoshop 7.0+ and Photoshop Elements 2.0+. The artist requests that you provide a link back to the brush pack, and if you use the brushes commercially (adding to artwork or images – you may not redistribute the brushes themselves), she requests that you provide her with a link to the image, because she’s curious to see what you have come up with! All credits and rights for both brushes and images go to the creators of the brushes. Check them out on deviantART because they all have a lot to offer and work hard to please the community!